Often referred to simply as acro (short for acrobatic), aerobatic paragliding is more or less what it sounds like the art of pulling off amazing airborne tricks and stunts. But thats not to say that its simple or lacks depth. 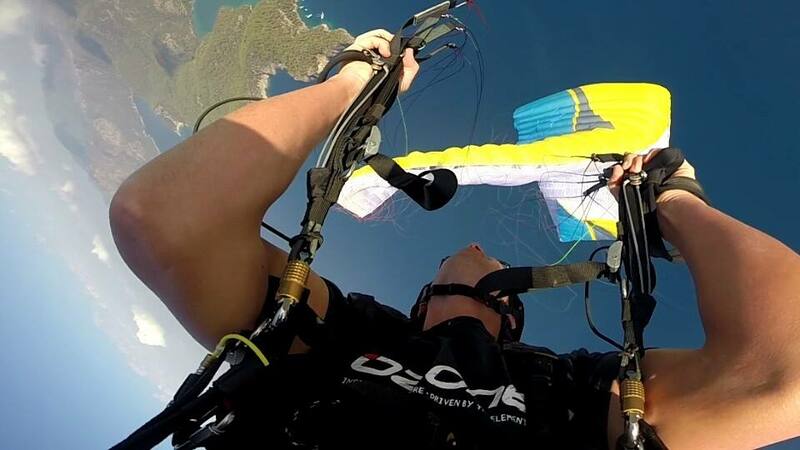 Theres a lot to learn about acro paragliding lets jump in together. Theres no doubt that acro is more dangerous than regular paragliding. Aerobatic pilots are typically those with extensive experience and well-developed wing skills, who are seeking to push their limits. With this sort of training, the risks can diminish to a level that some pilots deem acceptable. What Kind of Tricks Are Done in Acro? Acro is somewhat freestyle by nature, and theres no set list of allowed stunts. With a bit of creativity and an abundance of skills, pro pilots are often coming up with new maneuvers that challenge their abilities. We showcased some examples of paragliding stunts in an earlier post  check it out. If you understand the inherent risks with acro paragliding, and you still wish to proceed, the next step will depend on your current training. Remember that acro is generally considered an extension of regular paragliding, and is not something that should be jumped into due to a desire to impress your friends. Safety depends in large part on following a natural progression path. Keep in mind that Fly Cape Town offers an Introduction to Aerobatic Maneuvers class, which is a great way to get your first taste of the sport!